Please go on more adventures Sue! 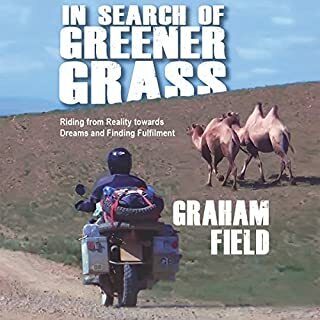 Out of the heart of China into the mountains of Central Asia, across Northern Afghanistan and the plains of Iran into Kurdish Turkey, Colin Thubron undertakes a journey along the greatest land route on earth: the Silk Road. Travelling 7,000 miles in eight months, he traces the passage not only of trade and armies, but of ideas, religions and inventions. With a gift for talking to others, and of getting them to talk to him, Thubron meets some fascinating people and encounters some of the world's discontented margins, where the true boundaries are not political borders but the frontiers of tribe, ethnicity, language and religion. ©2006 Colin Thubron (P)2007 Isis Publishing Ltd. It is more than 20 years since first I read this book, and others, by Colin Thubron. I was immediately taken by the lucidity of the prose and the clarity of his observations; and now to find it read with such intelligence and understanding by Jonathan Keeble is a bonus beyond measure. I would recommend it highly. I never listen to a book twice. 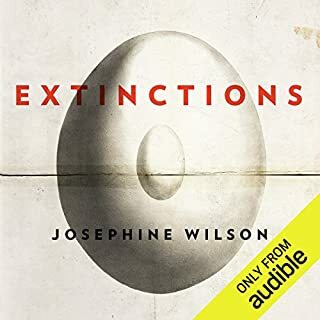 As soon as I finished this book, I listened again and enjoyed it as much the second time. His words are like poetry and his descriptions of the places he visits and people he meets are unbelievably beautiful. 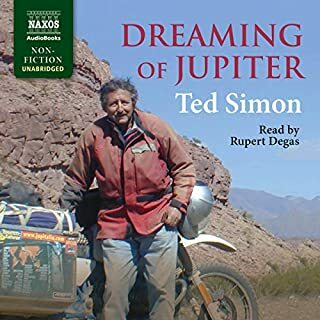 I wish Audible would have more of his books. Colin Thubron is a magnificent writer and historian. His prose is lyrical, his perceptions astute. I have recommended this book to several people, some of whom are writers themselves, and they have all loved it. It is a fascinating journey through history told with a deep understanding of the cultures and their history. 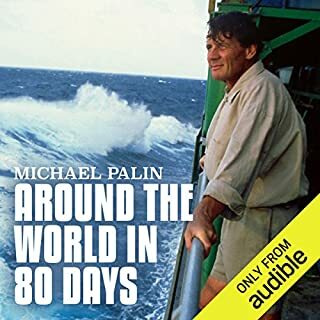 I wish that Audible would record his other works, particularly "Behind the Wall" specifically about China. According to Colin Thubron, ancient Romans, even while wearing silk garments from the East, imagined silk was harvested from a plant, and Easterners lived in an unreachable paradise. Meanwhile, the Chinese suspected Rome was a land without wars. Trade along the Silk Road had the aspect of a relay race. No one merchant traveled from one end to the other. Author Thubron decides to make the entire journey (east to west) and take us along for the ride. The Silk Road, we discover, wasn't just an extensive trade route but an elaborate conduit allowing for an interchange of cultures and religions along with material goods. I intend to read this a second time. Magnificent book! This book is wonderful. 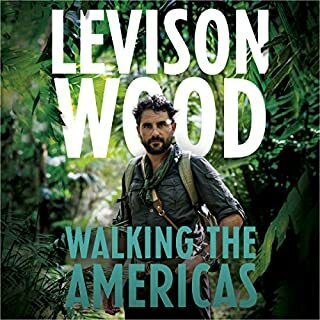 I have just listened to it for the 2nd time and found it richer and more interesting than the first. 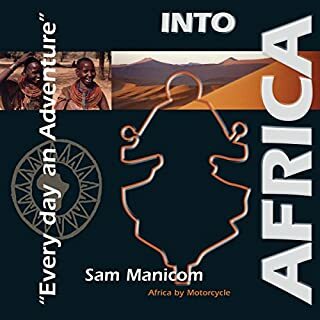 The author has good knowledge of the cultures he travels thru, and a very engaging way of writing. 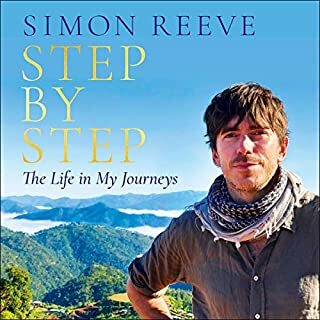 He touches on (1) the people he meets along the way, (2) the history of the area itself, and (3) his personal experiences (he can evoke a mental painting of what he sees and hears with a minimum of words - very rich). In addition, the lands he traverses are so mysterious and exotic - he truly made my world seem larger. The readier is tops, with an incredible array of voices and expression. He makes the book come alive. 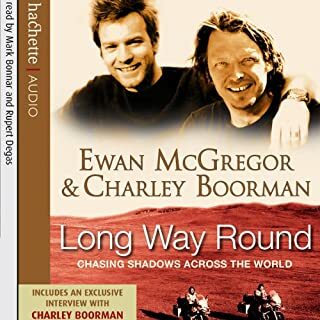 Buy it, listen to it, and take your trip to mysterious parts of our world which are certainly the silk road less traveled. This travel journal is an amazing trip in an amazing part of the world. You get a real flavor of the many regions and their inhabitants but the style is somewhat dry. The author makes a point of contrasting what the histories say of various locations and what the reality is now. It can be a bit discouraging and easy to walk away with a hopeless feeling. I read his other book "heart of central asia" and enjoyed it as well. 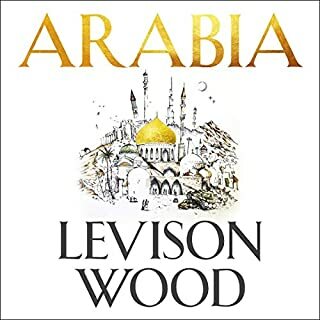 A good book if you are planning to visit the area or just want a better understanding of what we are up against in that region. Lots of historical information in a serious story. I did not get the feeling that the author enjoyed the trip. Much more "just the facts". An interesting view on the age of religious mix in various regions and relative strength of belief and how that is represented by the individual. I was reading it for the history of the apple. a travel journal. an historical account of ancient civilizations along this also ancient trade route. a cultural and an anthropological report. and an excellent reader. 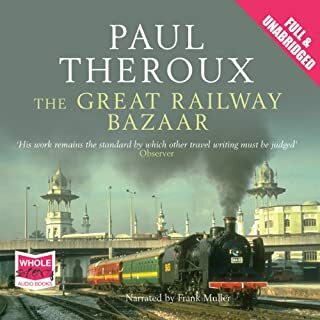 what more could the armchair traveler want in a book?! no regrets here! highly recommended. Some pronunciation issues - but a fun story. The narrator does an absolutely miserable job with pronunciation of chinese words - if you're familiar with China, you'll find this a bit frustrating and frequently ask yourself where he's talking about. I wouldn't expect perfect mandarin pronunciation, but you could anglicize "xinjiang" as "shin jong" (shin like the part of your leg, jong like in Mahjong). I have no idea how to write the word based on the narrator's pronunciation. This one isn't nearly as interesting to me as Jim Roger's excellent "Adventure Capitalist" which would have been documented about 3 years earlier, and does also spend a lot of time discussing that portion of the silk road. The book sends an especially lengthy time covering the China portion of the journey, which think many will appreciate. Last, I personally prefer that the author spend more time talking about places he went and things that he heard, and let the reader decide the emotional impact. If you're an old china hand who's been dreaming of retracing Marco Polo's journey, I would rate this a 3 or so - you'll probably not get the coverage you're looking for. 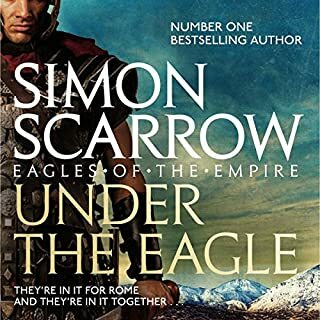 If, on the other hand, you're looking for an exotic story about a far away locale and dream of one day making this journey with a guide, then this one is 5 stars all the way. Mr. Thurbron uses words as an artist uses paint to paint a beautiful landscape. I could easily "see" the places and things he was describing and the people he met along the way. The portion of the book on Afghanistan and Iran gives an excellent insight into the world we find ourselves in at the moment...an insight that is quite different than what the common belief is on both sides. I'm going to listen to it again after I finish this review. My mind wants to wander down the Silk Road again. 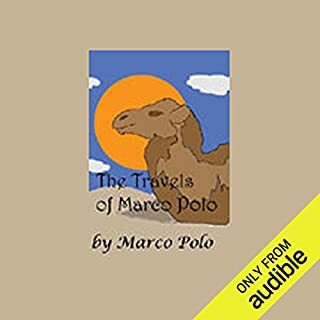 Beautifully written and narrated, this description of one man's journey in the footsteps of the ancient traders along the Silk Road is full of unforgettable sights, experiences, and characters. I listen to it whenever I want to be transported to another world where familiar human dramas are played against the backdrop of very unfamiliar times and places. It is one of the best expressions of I have found of the meaning that travel can have in the human experience. I wish the author would write another hundred or so books like it. If the object of a sucessful book is to entertain and educate at the same time, this one certainly fits the bill. The language and word craft were inspirational. In audio format, it is superlative. It achieves the above criteria effortlessly and it transports the listener to another world with ease. 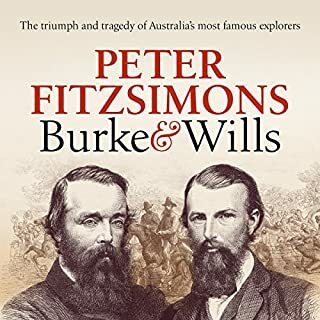 I really enjoyed the author's style and his obviously meticulously researched content. The narrator's performance was superb. Altogether a wonderful production which I enjoyed from beginning to end. Well observed with plenty of personal encounters and conversations recounted to make this most enjoyable. However, as another reviewer remarked, the carelessness of the narrator with the pronunciation of Chinese names is very annoying. 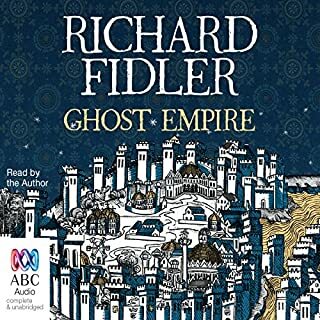 It is not, alas, the only audiobook to fall foul of this error, but how refreshing it would be if the producers of audiobooks spent just a little more money to employ an advisor in to help narrators in this regard. 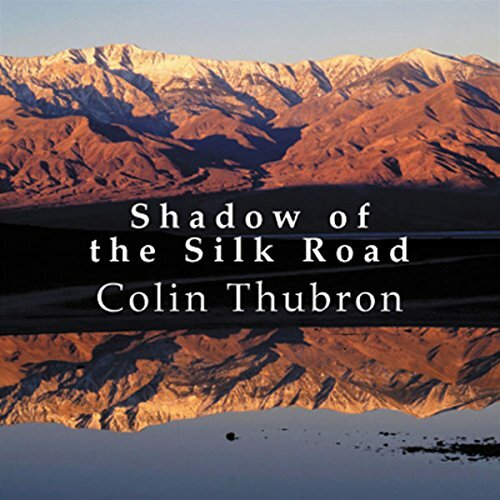 I have never read Colin Thubron and chose this book because I am interested in the silk road rather than a devoted fan of the author. I didn't learn as much about the silk road as I had anticipated, but I was absolutely delighted with the Thubron's narrative and his subtle use of language. His portraits of the people he meets on his journey are detailed and fascinating. The one thing I felt I missed through hearing this rather than reading it was a map of his journey. I sometimes lost track of where we were and had to wait until we crossed a border in order to locate myself again. I was delighted to find Shadow of the Silk Road already available on audible, as it saved me waiting for amazon to deliver a hard copy. However, I am rather disappointed with the narrator, who has not made much of an effort to pronounce correctly a number of people and place names. 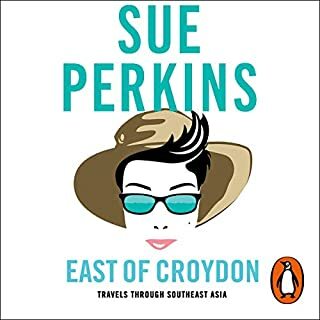 I am familiar with both the history and geography of the region, but I often find it difficult to figure out to which person or place the narrator is referring - I am hoping things improve as we leave China. Great book. 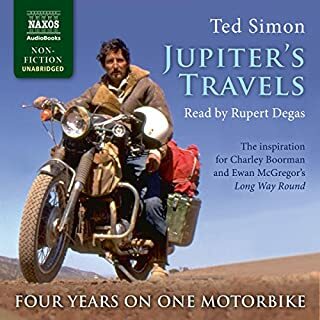 I found this book while looking for something to listen to in the car that was a little different and I'm glad I did. It took me a little while to get used to the style but once I settled in it is a great travel book. 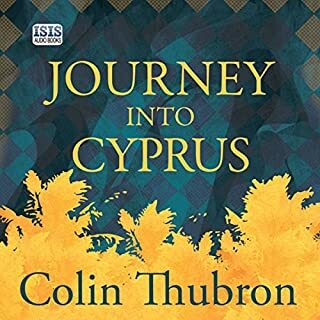 Colin Thubron is a great descriptive writer and I could almost picture each of his encounters along his journey. Not only did I learn about the environment he was in but the history and background were also great education. It is a great chance to learn about whole cultures that I have very little knowledge of. 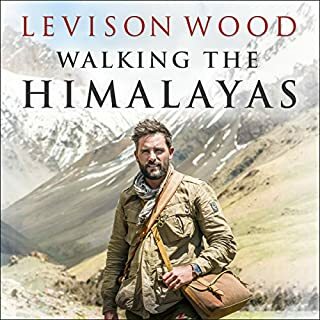 Downloading another of his books straight away. I tried hard to enjoy this book but it was an uphill battle all the way. Mr Thubron would do well to add a little more humour to his narrative to engage his readers. The author is clearly a very accomplished writer. Here, he has sacrificed narrative flow for literary style with the result that I often didn't know where he was or where he was going. It is a journey after all.